A compelling and beautifully written memoir about dark and shameful family secrets, and one young woman's pilgrimage to Australia to attempt to lay the past to rest. British journalist Cal Flyn was holidaying in her childhood home in the Highlands of Scotland, when she stumbled upon a dark family secret. To her horror, she discovered that her great-great-great uncle Angus McMillan, who had been mythologized as a great explorer and pioneer of early Australia, was in fact also the leader of a number of gruesome massacres of indigenous people. In 1843, he led a loosely formed 'Highland brigade', linked to a series of assaults so ferocious that the sites would ever after be synonymous with bloodshed: Butchers Creek, Boney Point, Skull Creek, Slaughterhouse Gully. Driven to piece together his story and to confront her own history, Cal decided to retrace McMillan's journey to Australia, looking for answers: how could a man lauded for his generosity and integrity commit such terrible acts? How could people who directly suffered from the brutal expulsion of the Highland Clearances re-enact this brutality in Australia? And has today's generation inherited a responsibility to atone for its ancestors' sins? Part family memoir, part travelogue, part history, and an intimate, revealing and fascinating journey into our Australian heritage, Thicker than Water is a beautifully written, wholly compelling and devastatingly clear-eyed examination of the burden of intergenerational grief and inherited guilt that we all carry with us. Cal Flyn is a freelance journalist from the Highlands of Scotland. She has been a reporter for the Sunday Times and the Daily Telegraph, and a contributing editor at The Week magazine. She has been published in the New Statesman, The Observer, The Independent, Telegraph Magazine and FT Weekend, and won the 2013 Brandt/Independent on Sunday travel writing prize. 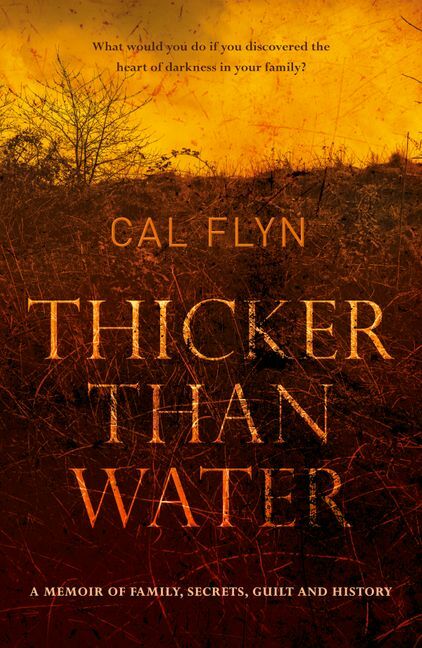 THICKER THAN WATER is her first book.